Web and mobile messaging service eBuddy has been purchased by accommodation booking platform Booking.com. No financial terms of the deal were disclosed, but eBuddy clearly stated in a blog post Wednesday that this was "acqui-hire agreement" so I think it is safe to assume that eBuddy will be shutting down at some point in the coming weeks or months. "For over 9 years we have been offering Chat and messaging products for hundreds of millions of users worldwide. Together with Booking.com we are excited to add our experience and enthusiasm to their team in Amsterdam," eBuddy wrote. "We really enjoyed the years of building great eBuddy products and are very excited participating in building out Booking.com’s great product." Any details beyond that, including when eBuddy will be shutting down, how many members of the team are making the transition or what the team will be working on when they come to work at Bookings.com, have not yet been made clear. VatorNews has reached out to both eBuddy and to Bookings.com for more information on the deal, and we will update the story if, and when, we learn more from them. Founded in 2003, eBuddy enabled users to chat in one interface across all major instant messaging networks, including AIM, Facebook Chat, Gtalk, ICQ, MySpace, Windows LiveMessenger and Yahoo. The company also offered a product called XMS, a free, real-time cross-platform messaging app for smartphones. It included text, pictures, videos and location. The Amsterdam-based company had raised two rounds of funding: €5 million in Series A funding from Lowland Capital Partners in October 2006, and €6.5 million in Series B financing led by Prime Technology Ventures (PTV) in February 2008. That is the equivalent of $15.6 million in U.S. dollars. In 2011, Japanese gaming company GREE acquired a minority stake in eBuddy. The company also has offices in Singapore and San Francisco. 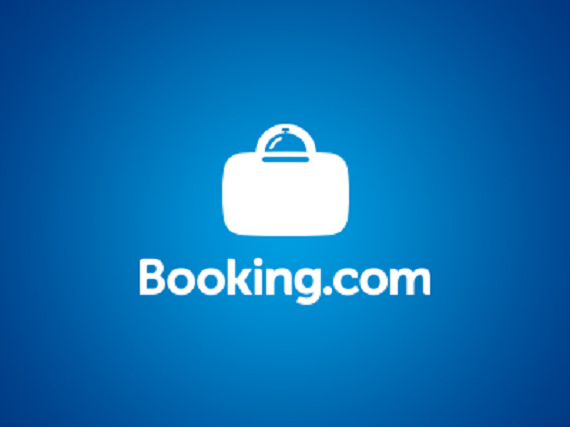 Booking.com is a Dutch online hotel booking portal. Founded in 1996, the company is owned and operated by Priceline, which bought it in 2005 for only $135 million in cash. Since then, Priceline’s annual revenue has gone from $10 million in 2003 to $1.68 billion in the second quarter of this year, with Booking.com a big part of Priceline's business. In the third quarter of last year, Bookings.com accounted for 71% of Priceline's revenue. The site is available in more than 40 languages, and offers over 378,841 properties in 193 countries. It has 115 offices in over 50 countries, in cities such as Amsterdam, Beijing, Berlin, Chicago, Ho Chi Minh City, Madrid, New Delhi, Paris, Stockholm , Sydney and Vienna. The company says that over 550,000 room nights are reserved on Booking.com every day, and more than 2.8 million room nights are booked on the website every week. eBuddy is web and mobile messaging for everyone, everywhere! eBuddy processes over 11 billion messages per month and enables more than 30 million unique monthly visitors to chat in one interface across all major IM networks including AIM,Facebook Chat, Gtalk, ICQ, MySpace, Windows LiveMessenger and Yahoo! eBuddy is one of the world’s fastest growing mobile IM services with over 10 million unique monthly mobile users, and offersfour, free mobile IM versions: eBuddy fori Phone and iPod Touch, eBuddy for Android, eBuddy Mobile Messenger (J2ME) and eBuddy Lite Messenger (mobile Web). eBuddy’s premium native application, eBuddy Pro for iPhone and iPod Touch with additional exclusive features is for sale via iTunes. Based in Amsterdam, London and San Francisco, eBuddy is privately held company backed by Prime Technology Ventures and Lowland Capital Partners.